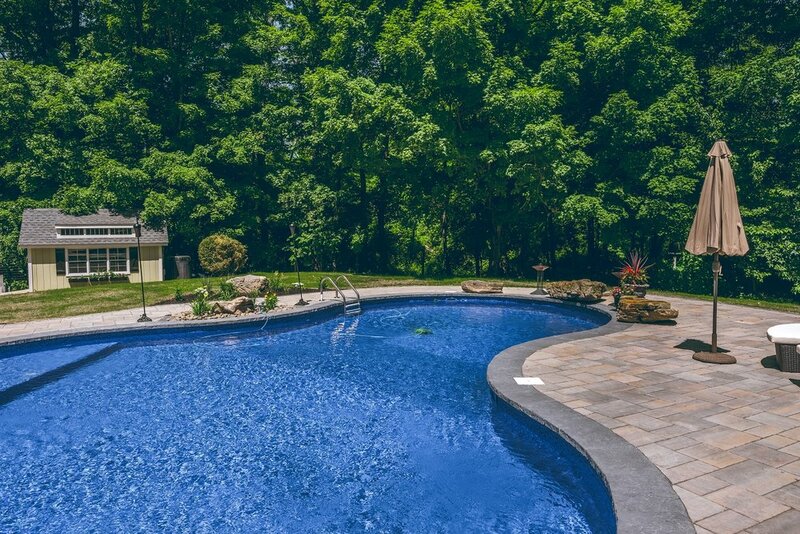 This custom pool and stone patio reimagined a Warwick backyard into a summer respite from a busy lifestyle. Naturally hued pavers extend into a poolside lounge area fit for a full lounge and cabana area and space for seating and dining. Gray, naturally cut stone and pockets of lush gardens pepper the waterside, reflecting the backyard's rural surroundings. In such a verdant area, designers chose an asymmetrical, rounded design that flows with the shape of the yard while maintaining a clean, modern balance.